At age 12, girls are just bridging the gap between little girl and young woman. The girls are young enough to enjoy staying in one place all night, but old enough to entertain themselves with some supervision. Plan a sleepover with your 12-year-old to make the event enjoyable for her and approved by you. One way to keep a sleepover on track for 12-year-old girls is to choose a theme for the event. The theme should be something that the host girl likes, such as a movie marathon of her favorite movies, a makeover session for the girls, or a food-related theme where the girls make their own pizza, sundaes or other foods. The girls could also choose a more abstract theme, such as a color, TV show or time period. To avoid endless games of "truth or dare" and to keep the girls from prank calling friends and classmates, provide them with several fun games to play. Twister is a classic game for 12-year-old girls. 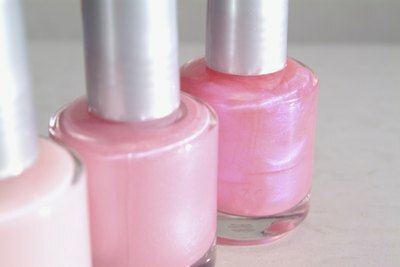 Play Nail Polish Spin, an alternative to Spin the Bottle. The girls take turns spinning bottles of different colored nail polish. Whoever the bottle points to gets one nail painted in that color. Continue the game until all nails are done. Beach Ball Questions is another fun game for the sleepover. Write a bunch of random questions all over a beach ball, such as, “What is your biggest fear,” “Who is your favorite celebrity,” “What you do want to be when you grow up,” and other questions. Make some thoughtful, some silly and some challenging. The girls throw the ball back and forth. The girls have to answer the question that their right thumb lands on. Most 12-year-old girls love to eat. Provide a variety of foods that the girls can cook for themselves late in the night as well as snacks and one main meal. 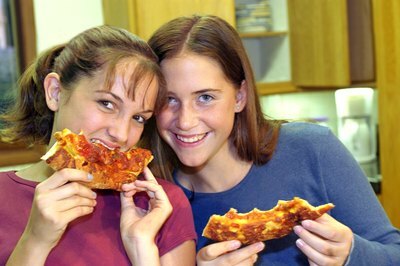 Pizza is an easy and favorite menu item for sleepovers, as are popcorn, candy and other simple snacks. Allow the girls to build their own pizzas or dessert to transform mealtime into an activity as well. Provide healthy options, such as vegetables and fruit for girls with dietary restrictions and to supplement the junk food. Girls can quickly become bored at sleepovers. To avoid boredom, provide plenty of activities for the girls. Girls can make jewelry, decorate canvases with acrylic paint, take pictures and make party scrapbooks, have a fashion show, fix makeup and hair, do spa treatments, sing karaoke, do a scavenger hunt or treasure hunt, and make T-shirts or pillowcases as party favors for the sleepover. Some girls may also enjoy a classic sleepover pillow fight as well.